If it wasn’t for the title of this post, I trust that you’d most likely look at the word “patxaran” and wonder if it wasn’t the name of a pharmaceutical drug or a race of aliens on Star Trek. Sounding the letters out one by one, you suddenly find your tongue confused, unable to maneuver its way to the front of your teeth, then quickly, to the back of your throat in one seamless movement. But rest assured that the phonetics of this word are actually quite simple once you get the hang of the notorious Euskara (native language of Navarra) “tx” sound, pronounced like our “ch”. Hence, Patxaran is phonetically spelled like Pacharán, which is also how it is brilliantly written in Spanish – love the logic of this language! It wasn’t until our trip to Rioja, and our following visit to Alimentaria, when I truly understood what Patxaran was. Mind you, throughout Rioja, so few people were able to share the history of liquor, shrugging their shoulders in silent ignorance, “It’s a family made drink that people occasionally consumed in their house,” we were told, but we wanted to know more. What I learned was that Patxaran in Euskara means sloe berry or baso aran (wild plum), a name you might accurately associate with sloe gin. A small dark berry with red juice, a sloe berry comes from a blackthorn bush and is a relative of the plum, while Patxaran is a sloe-flavoured liqueur most commonly drunk in Navarra, the Basque Country and La Rioja. Historically, Patxaran was used in the middle ages as a remedy for digestive disorders. Containing Vitamin C, as well as being a tonic and an astringent, it was thought to strengthen the stomach; relieve aches and pains of old age; prevent atherosclerosis and stroke; and acts as a sedative to calm your nerves. By the mid 14th Century, patxaran was being used for Queen Blanca I of Navarra (also known as Blanche I) at the Santa Maria de Nieva Monastery as a cure all for her illness – whatever that may have been. At this same period, it was also being served for more festive occasions like Gonofre of Navarre’s wedding, the son of King Carlos III, who married Dona Teresa Arellano. 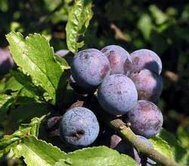 However, it wasn’t for another five hundred years that “pacharaneras”, venders of sloe berries, were appearing in open air markets across Navarra. As a result, in the 19th Century, this delicious digestif was considered the traditional after dinner drink in both restaurants and households alike. By the 1950s it was commercialized outside of Navarra, possibly as a result of the soldiers in the National Services hauling it with them throughout the rest of Spain. Patxaran is made by soaking sloe berries in an anise-flavored spirit or arujo, with a few coffee beans and a vanilla pod for approximately 3 to 4 months, resulting in a light mahogany colored sweet liqueur, around 25-30% alcohol by volume. Traditionally, it is served chilled or on ice as a digestif (although I don’t suggest this as it tends to dilute the rich spice flavor). In total there are only a handful of distilleries who make Patxaran throughout Navarra and La Rioja, as the majority of people drink their own concoction in house. Consequently, I haven’t tried a wide variety, but I can share with you my experience with Gaizka Barañano of Destilerias Barañano Atxa at Barcelona’s International Food and Wine Fair, Alimentaria. Knowing very little about patxaran, Gaizka took well over 40 minutes chatting with me, from which the majority of this article is based on. A family run business since 1831, Destilerias Barañano Atxa not only makes a wide range of liqueur of which Patxaran makes up a half of their total product line, but also aguardiente, limoncillo, as well as a wide range of liqueurs made with honey, peach, cream, apple and herbs. Having tried both their Patxaran Redondo and their high end Gaizka, fermented without the pit, each were dark, spicy and delicious; however the Gaizka was absolutely phenomenal with its silky and full mouthfeel, bright anise and blue fruit flavors, with a lingering round, lush and spicy finish. Gaizka was kind enough to provide me with a recipe for making Patxaran at home, in addition to some mixed drinks and desserts for which I have provided below. Wash the sloe berries and place them into a wide neck bottle. Fill the bottle with your hard liqueur of choice. If you desire a liqueur with a touch of sweetness, add sugar. Drop in the coffee and vanilla beans, cover the bottle and leave in a dark, cool place for at least three months. Other ingredients you can add include Chamomile or a cinnamon stick. Bring water to a boil, while at the same time, dissolving the jello in the patxaran. When the water is fully bubbling, turn off the flame and add the patxaran. Place it in the refrigerator for two hours until it turns to gelatin. Serve with dollop of creme fresh or whip creme. In addition to an anise based Patxaran, we also rounded up a bottle of the Pacharán Ibaya from Destilerias Ezcaray, located in Ezcaray, La Rioja. And like Destilerias Barañano Atxa, this small artesanal distillery has been crafting a wide range of liqueurs for generations. Dark peach rind in color with a dense tangerine, blueberry, peach and vanilla nose. In the mouth, this patxaran is silky and viscous coating my entire mouth in a lush blanket of bright berry flavors. Delicate, feminine and the perfect after dinner drink, highly suggested for a mid summers sip under the moon. We’d like to hear your stories. Have you ever tried a Patxaran, and if so, how was it?